Every good business owner knows that one of the major keys to success is engaging their target audience. Whether it’s through a TV commercial, a billboard, or an online advertisement, marketing experts are always trying to find new and exciting ways to engage with their customers. These days, the vast majority of marketing happens on the Internet. When you’re working over such an impersonal medium, it can be extremely challenging to maintain the level of engagement necessary to grab someone’s attention and direct them to your link. This is where Call to Action, or CTA, buttons come in. Maybe you want users to register an account with you, or maybe you just want them to sign up for an e-mailing list. Perhaps you’re looking for a way to more effectively seal the deal on purchases through your website. 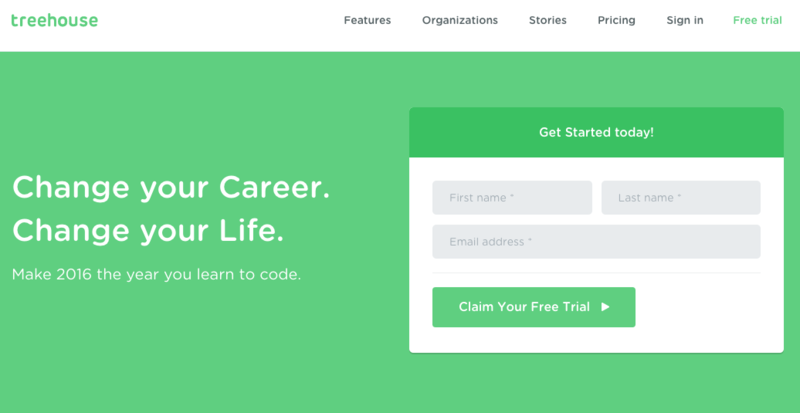 Whatever the case may be, implementing CTA buttons is a fairly simple way to significantly increase activity on your website. Plus, a well-crafted and professional CTA will greatly enhance the level of trust your website warrants at first glance. When you see a link or button on a webpage that says “Submit Here” or “Go to Download Page”, how do you feel? Are you drawn in by the excitement and opportunity or do you think “Eh, maybe later.”? When forging the perfect CTA button, it is absolutely vital that you carefully choose wording to move your audience to action. Create a sense of urgency with the idea of a limited time offer or an opportunity springing up in the moment that they won’t want to let go of. They need to feel like it can’t wait. When Firefox changed their CTA button from “Try Firefox 3” to “Download Now – Free” they noticed an immediate 3.44% conversion rate increase. Using words like “now”, “today”, and “immediately” can help reinforce this sense of urgency. If the buttons instead read “Download My Free Trial” or “Create Your Account” how would you feel? When trying to connect with an audience, it is important to use personal language like “Your” and “My” to make them feel like they’re being spoken to directly. It may seem small, but these subtle changes can make a world of difference. 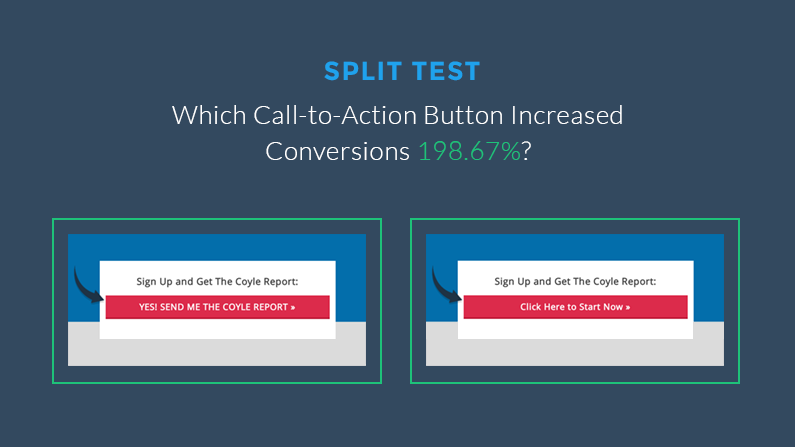 The easy rule to remember about CTA buttons is that they need to be two things: simple enough to understand and compelling enough to click on. It’s imperative that your button tells people both why they should click on your button and exactly what will happen when they do, using roughly 2-5 words. Don’t be vague with things like “Go” or “Enter”; use descriptive phrases like “Sign up now and get 25% off!” and “Get My Free Quote”. As with any marketing project, aesthetic is key. Choosing the right dimensions and color for your button will be an integral part of telling the subconscious “Look at me!” There are many choices to consider and it’s important to take each one with great care. The button shouldn’t be too small, but if it’s too big that will also work against you. ‘Freemake.com’ found an 11% decrease in their conversion rate when they used a button that was too large. The trick is to make it big enough to catch the eye and seem clickable but not so gigantic that it completely distracts the reader from the rest of your page. It is a delicate balance and it takes a bit of intuition. Remember: your audience is made up of human beings just like yourself. If it looks bad to you, it will look bad to them. When in doubt, look at the CTA buttons of other successful business webpages for references. When choosing what shape to make your CTA button, there are two main ways to go: rectangular and rounded. Both are valid choices and seem to perform pretty well. Some swear by the rectangular buttons, while some say rounded edges make them seem less harsh and more inviting. ContentVerve’s test between the two showed a 36% increased conversion rate when using rounded corners. The color of your button is one of the most wide open decisions to make in the process of creating the perfect CTA button. While blue and orange are generally accepted as the best-performing colors, this really comes down to the color scheme of your webpage. Just try to avoid using white, grey, or black as they are difficult to read and rather uninviting. Use your best judgment and try to find a color that seems inviting, positive, and easy to read. It doesn’t need to match your webpage as long as it doesn’t seem out of place. 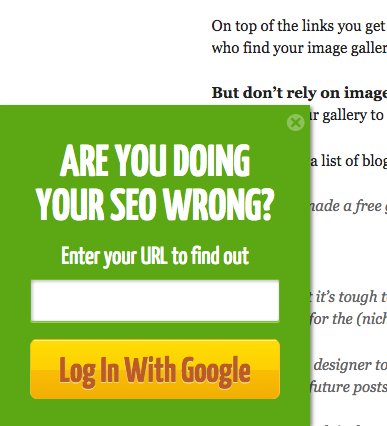 This is another good situation where referencing other CTA buttons can really come in handy. One popular alternative to using colored buttons is framing. Framing your text inside a box, using the background color of the page, can look very modern and professional. Depending on the color scheme of your website, this may be the best option for you. Do a side-by-side comparison with a few of your favorites on your page to see which one you like the best. Finally, make sure you position the button on the page correctly. Avoid putting it too close or too far away from text and borders. You want it to stand out, but not like a sore thumb. It should be in an intuitive spot the eye will be naturally drawn to, especially just after reading the text above or beside it. Your CTA is no good if nobody can find it! One of the most important parts of this process is testing, testing, testing! All of the previously mentioned figures are only available to us because companies performed tests with their target audience. The business world is always changing and you should be too. Don’t be afraid to try new things, even if they might perform poorly. Taking small losses here and there is worth the huge breakthroughs you will find along the way. Keep your ear to the ground and listen to the feedback you are given. An audience’s input can speak volumes. Sometimes a CTA button can seem a little intimidating. “What will it do when I click it?” and “Which button am I supposed to click?” are common questions popping into the minds of people viewing your page. In cases where multiple CTA buttons might be present, it is extra important that you give them some helpful reminder text and some directional cues. A directional cue could be a person’s face looking in the direction of your text or simply an arrow pointing at your button. There are many ways to gently nudge the viewer to your CTA button (without being too pushy, of course) so it’s mostly a judgment call about what works best for your page. Be mindful of your layout, color scheme, etc. Giving the right directional cue will allow them to focus more on what they’re looking at and less on where they’re looking for it. In addition to directional cues, it is often appropriate to add some “nudging text” to your CTA button. This can add clarity, soften the tone, or even just reinforce the message. The text should be much smaller and just below the button. It could say something like “No credit card required” or “*Free Shipping! *”, something that bolsters the sentiment that they should click your CTA. Note that not every CTA button needs reminder text, but it can be just the finishing touch you were looking for.